Scones can fill many rolls. They can be a breakfast, dessert, or snack. Only have a couple of minutes to dress and run out the door? That sounds like a perfect time for a scone! Need something to nibble on while watching TV? Eat a scone! This recipe came from a Indiana newspaper. 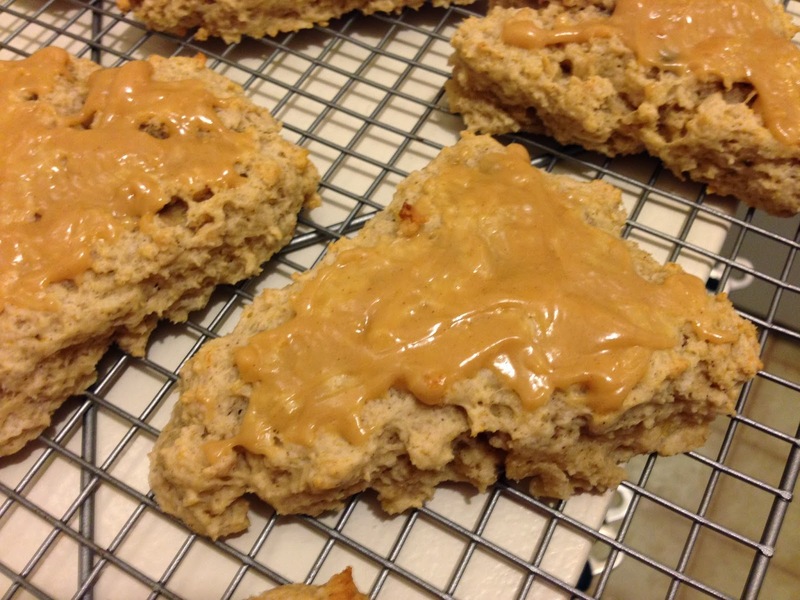 I found it because I googled, "peanut butter scones." Sometimes I think I have envisioned a new, unique recipe idea but find 20 or more similar recipes after a quick internet search. I have been thinking about making pancake tacos for a few months, but this week I saw this idea on another blog. 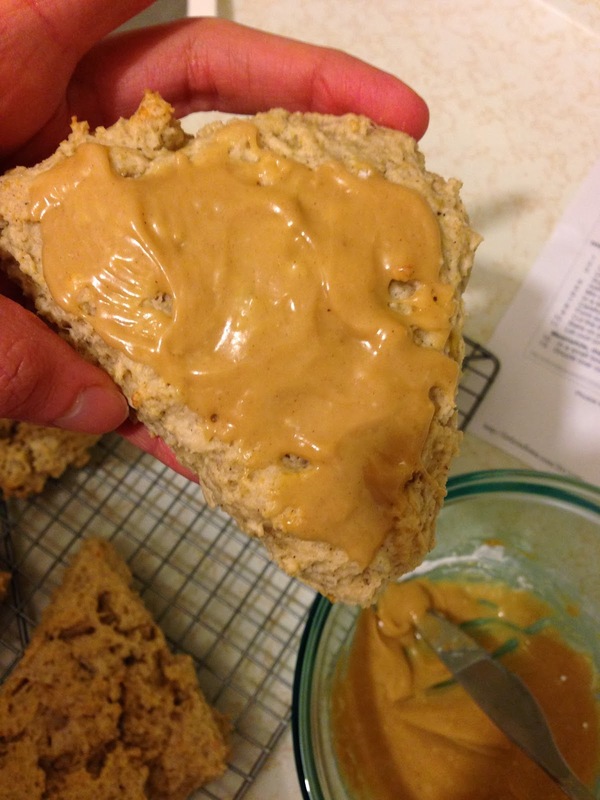 The ingredients for the scones are 2 cups flour, 1 tablespoon baking powder, 3 tablespoons sugar, 1/2 teaspoon cinnamon, 1/4 teaspoon nutmeg, 3 tablespoons chopped, dry peanuts, 5 tablespoons cold butter, 1 banana, 2 tablespoons creamy peanut butter, and 1 cup heavy cream. 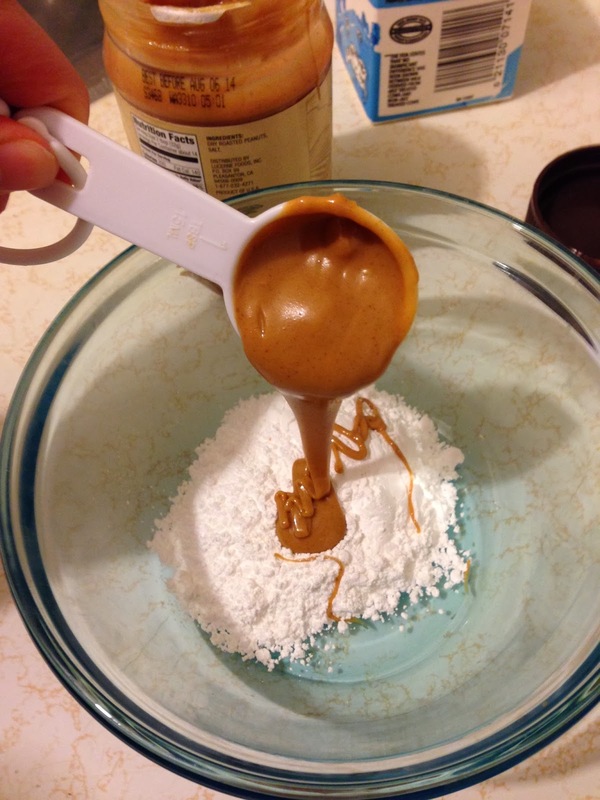 The ingredients for the glaze are 1/3 cup powdered sugar, 1 tablespoon cream, and 1 tablespoon creamy peanut butter. 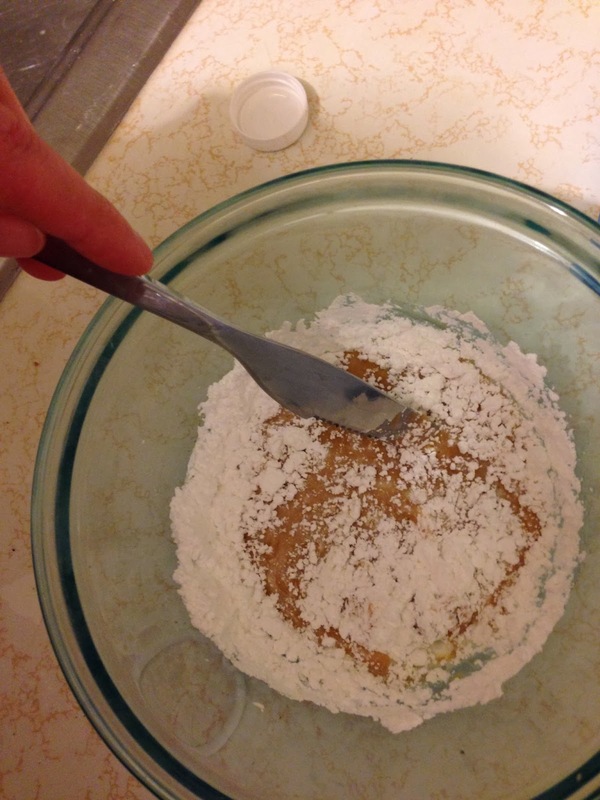 I added the flour, baking powder, sugar, salt, cinnamon, nutmeg, and chopped peanuts to a bowl. I combined all the dry ingredients. I cubed the cold butter and combined it with the dry mixture. I used my hands, but the recipe recommends using a fork. My green watch was a Christmas gift. I added the peanut butter and cream to the mashed banana. I poured the milk mixture into the dry ingredients and combined them together. I shaped the dough into an 8 inch circle on a floured surface using my hands. I cut the round into eighths. I baked the scones for 13 minutes at 425 degrees. While they cooled I made the glaze. I combined all the icing ingredients, peanut butter, cream, and powdered sugar. Peanut butter and banana are always a great pair. The flavors were not very strong. The banana and peanut butter were too subtle. 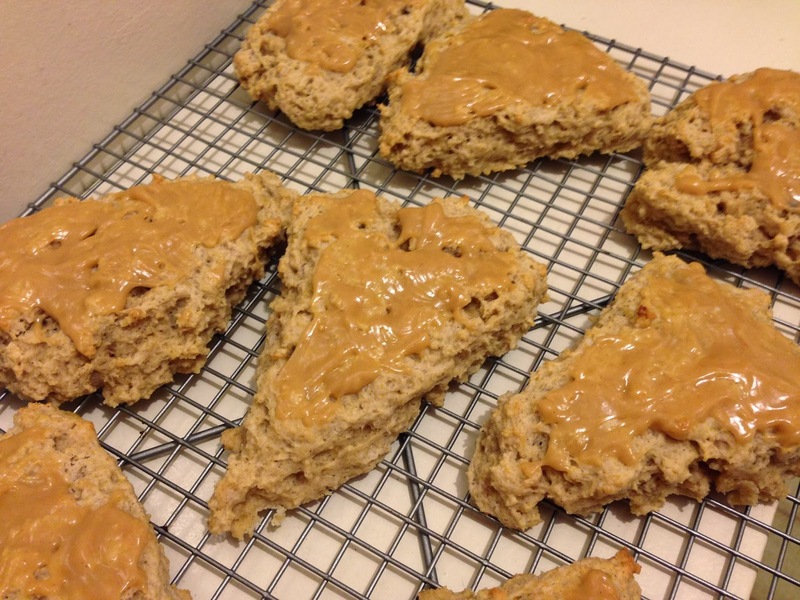 The scones were moist, and I enjoyed the crunchy, salty peanuts. Scones are way more fun to grab and go and eat than most things! Love this PB version! These scones look really delicious! I love the addition of peanut butter, really creative! Thanks! I love peanut butter!